Doug Ducey's office is calling the "obsession" over who will get John McCain's Senate seat "disgraceful." Republicans are feeling better about holding the Senate after passing a key May 30 deadline. CA: Democrats are already playing the blame game as a potential drubbing in next week's House primaries looms, writes the Washington Post. CA-GOV: The Los Angeles Times looks at John Cox's onetime mission to mix things up in the California legislature. KY-SEN: Mitch McConnell says he's not going anywhere, writes POLITICO. MD-GOV: The Washington Post sums up the Democratic gubernatorial debate, which largely centered on Democrats' criticism of Larry Hogan. ND-SEN: Kevin Cramer isn't happy with Marc Short. 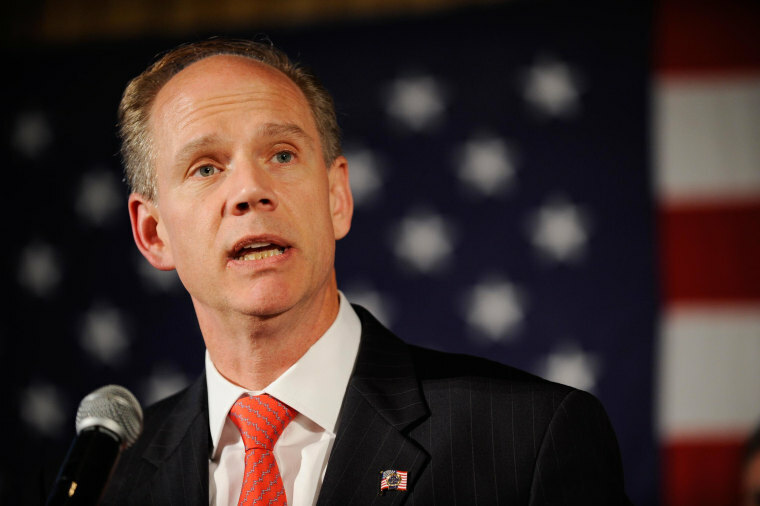 NY-11: Trump endorsed Dan Donovan over Michael Grimm. There's only one problem. TN-SEN: Trump privately called Phil Bredesen "tough." VA: Virginia lawmakers have approved a Medicaid expansion after years of gridlock. Mike Pompeo is trying to salvage the North Korea summit. Prosecutors are piecing together shredded documents seized in the raid of Michael Cohen's hotel and office. The New York Times: "The former acting F.B.I. director, Andrew G. McCabe, wrote a confidential memo last spring recounting a conversation that offered significant behind-the-scenes details on the firing of Mr. McCabe’s predecessor, James B. Comey, according to several people familiar with the discussion." "The White House has named a new National Security Council chief of staff from a group that propagates the conspiracy theory that Islamists have infiltrated the U.S. government in a plot to take over the country," reports the Washington Post. The AP goes inside the GOP fight to save Jeff Sessions.